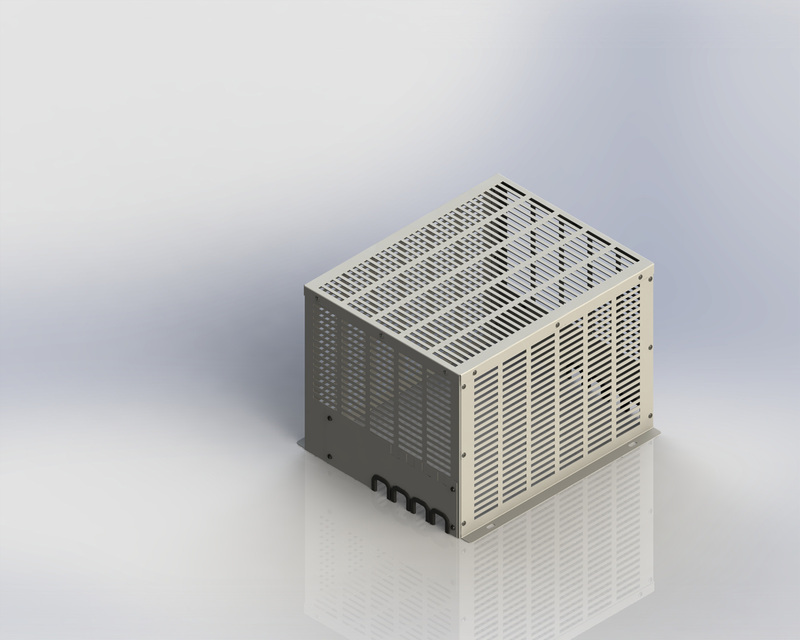 Reo UK has launched a new range of IP20 steel vented covers for industrial chokes. The growing demand for electrical chokes in industry has created the need for a fast, reliable and easy-to-assemble cover for speedy installations. Chokes are fundamental for achieving high standards of power quality. When a current is generated it is not always uniform, which can lead to poor power quality. By using a choke, these excessive current frequencies can be filtered out. This filtering protects equipment from being damaged and increases the life span of products, increasing reliability and preventing hazardous situations. When power is filtered by the choke, it dissipates the excess energy as heat. As such, the new range of steel covers must protect the choke, while also dissipating the heat effectively to prevent degradation of the choke’s functions. Due to the properties of steel, the IP20 vented cover is effective at quickly dissipating heat in high-temperature environments. The cover is purpose built for use alongside CNW 903 and CNW 905 mains chokes, as well as CNW 854 motor chokes. It is being manufactured in eight different sizes, to suit a variety of electrical applications. With an ingress protection rating of IP20, the cover can block any physical material, such as debris larger than 12mm, from entering the caged area. A range of mounts to secure the cover is also available, should an engineer wish to position the cover on the outside of a switch board.